Eigentlich sollte ich heute in Kopenhagen sein, um mit dem Programmkomitee weiter über Themen, Workshops und die Rednerliste für Coventry zu diskutieren. Das ließ sich wegen anderer Verpflichtungen leider nicht einrichten, habe meinen Senf deshalb schriftlich dazu gegeben. Schwerpunktmäßig werde ich mich wieder um Korruptions- und Ethikthemen kümmern. Details über Buchungsmöglichkeiten, den Call for Papers und den Stand der Vorbereitungen finden sich auf Play the Game 2009. 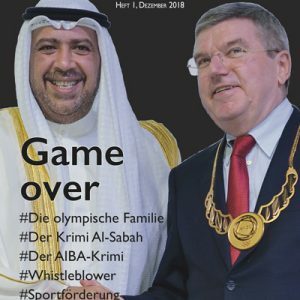 Stammgäste wie Richard Pound, Alessandro Donati, Andrew Jennings, Mario Goijman, Declan Hill und Wada-Generaldirektor David Howman haben natürlich längst ihre Teilnahme zugesagt. Ich bin gespannt, ob es gelingt, außer Pound noch andere IOC-Mitglieder nach Coventry zu lotsen. 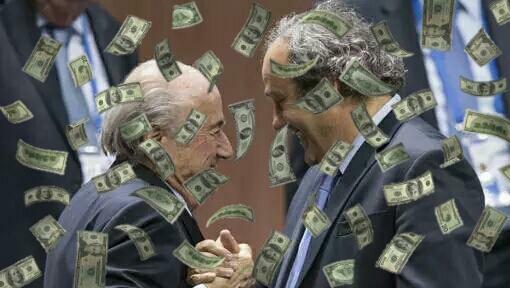 Play the Game und das IOC bzw. Play the Game und Blatters Fifa, das sind Probleme für sich. Die Kommunikationsherrscher mögen es nicht, wenn ihnen jemand dazwischen pfuscht. 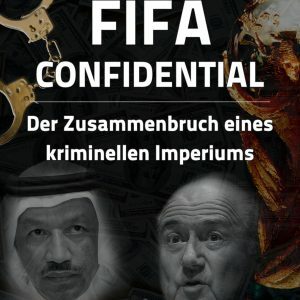 Sie schicken mitunter ihre Agenten (der Fifa-Abgesandte, der 2002 im Saal saß, wird mir diese Bezeichnung sicher nicht übel nehmen), verweigern sich sonst aber einigermaßen rigoros. 1) Ethics in governance: Will sports federations come clean? 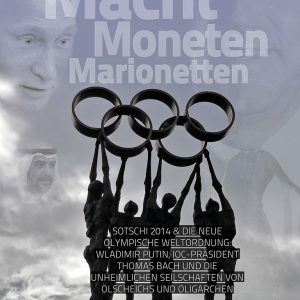 Swiss judges have revealed that sports leaders took bribes worth at least 87 million Euro in the past when selling TV and marketing contracts. 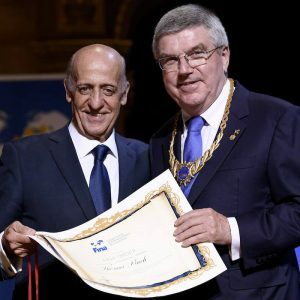 10 years after the IOC reformed itself to improve its governance; some of the most important members of the Olympic family still suffer from widespread corruption. Are sports organisations capable of cleaning up their own ranks or do they need help from outside stakeholders? How can a federation make a turn-around that creates less space for corruption and backroom dealing, and more space for the voices of athletes, women, fans and other marginalised groups? Sport has set out to preserve its autonomy against government intervention, but are public authorities really the enemy? What can states and sponsors demand from sport in return for respecting its independence as part of civil society? Play the Game 2009 will focus on transparency, democracy and ethics in sport, and one workshop will be dedicated to shaping a „Handbook for good governance in sport“. Mega-events are described as drivers of development by those who offer them and those who bid for them, in order to convince tax payers that the huge investment is worthwhile. What is fact and what is fiction? Less than one year on from Beijing and only one hour’s drive from London, Play the Game in Coventry takes a closer look at some of the most prestigious mega-events of our times. Beijing 2008 impressed the world by its perfect organisation and lush facilities. What marks did the games leave on the Chinese society in terms of social, political, economic, environmental and media development? And how did the games affect the relationship between China and the rest of the world? The preparations for the next Summer Olympics in London 2012 are hit by budget problems and global financial crisis. Can the organisers keep the promise of using the games as a lever for sport for children, youth and social cohesion? FIFA and UEFA are seeking to break new ground by granting mega-events to countries like South Africa, Poland and Ukraine. Is this the beginning of a new world order in sport and are the countries ready? Generally, concerns are growing about links between mega-events and increases in prostitution, trafficking and intensified surveillance of citizens in the name of security. Are mega-events just for political posturing among global power elites or is there a sporting meaning still? 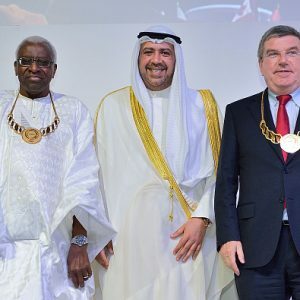 More than ever, sport is a global business leaving a deep impact on countries all over the world. 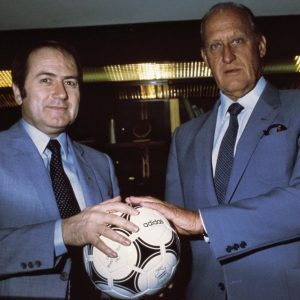 With English and international football as the main case stories, Play the Game 2009 will depict the power struggles in sport. Who is fighting to gain control over professional sport and what are there motives? EU is casting a critical eye on the administration of clubs and the role of agents. Will the EU succeed in bringing about regulation? Can trafficking of young players be prevented by legislation? Will fan ownership gain momentum in light of the financial crisis that haunts the debt-ridden professional clubs? And will the traditional media and sports organisations find a solution to their fight over new media platforms such as mobile phones and the Internet. 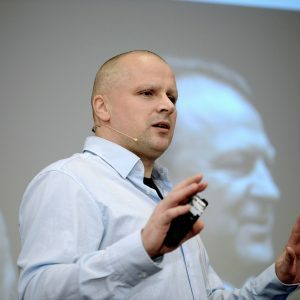 Experts assess that the global gambling market is worth 350 billion dollars in revenues, out of which no less than 100 billion may derive from illegal gambling. The situation is ripe for fixers who can make fortunes by hiring sports people to decide the outcome of a sports event in advance. Do sports organisations and gambling companies stand a chance to build dikes against a tsunami of that magnitude? Who are the fixers, where do they live and how do they operate? Which sports are the most endangered? Will a liberalised EU gambling market strengthen match fixers, sports organisations or both? The so-called spread betting in the UK is suspected of being linked to illegal gambling, and UK politicians discuss whether online gambling sponsorship in sport should be allowed. At Play the Game 2009, leading experts will lay out the present realities and future challenges of this problem that may turn out to be an even greater threat to sport than doping. Though sportswear and a sporting image is more sought for than ever as an expression of youthful lifestyle, sport itself struggles to keep young people on board. Governments express concerns about obesity and sedentary lifestyles, but fail to invest in school sport and physical education. Why are teenagers so reluctant to do sport? Are they spoiled, lazy and anarchistic kids who are too easy to distract with electronic games, drinks and dancing in the streets? Or is sport a self-sufficient movement which only offers 24/7 work and narrow-minded discipline, while it refuses to listen to a new, creative and independent generation? 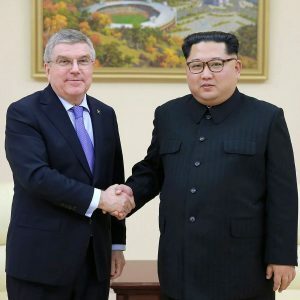 The IOC has re-invented the Youth Olympics as a means to conquering the hearts and minds of the youth, but will they respond? Is it just a move to ensure a youthful TV-audience and make sponsors happier? What is the probability that the Youth Olympics will convince young people to do sport? At the IOC Congress in Copenhagen 2009 the delegates are asked „Is competitive sport still appealing?“ – what will the young generation answer? Play the Game 2009 will ask young people and grown-ups alike what it takes to lead them to a physically active lifestyle. Can old sport reach the „Wii“-generation? Are electronic entertainment companies and the young people redefining sport? The youth is good for sport – but is sport good for the youth? 6) Anti-Doping: Will the technological arms race come to an end? The fight against doping is at present a technological arms race between those who develop doping methods and those who try to detect them. Will an athlete’s passport ease the pressure anti-doping authorities to be at the forefront of technological innovation – and will it make life less complicated for athletes? What will happen to the anti-doping struggle – and our vision of the human body – with the expected rise in the use of gene doping? Far away from the laboratories, society’s underworld is busy pushing sports drugs in every corner of the globe. The clients are mostly men who do not use the drug to increase sports performances, but as a shortcut to a perfect muscular body. It is a billion-dollar market for organised crime that is rarely confronted with tough legislation. WADA is now siding with Interpol to catch the dealers, and a growing number of voices in sport demand criminalisation of all doping use and trade. Will criminalisation help or will it just boost profits for gangsters and make trafficking even more attractive? 7) Paralympic athletes: More different than the rest? The case of the South African runner Oscar Pistorius has highlighted a number of intriguing questions related to modern paralympic sport. Technological development is a factor boosting performance in all fields of sport, so why should we be particularly annoyed if paralympic athletes make use of technology to climb to the level of ordinary athletes – or even above? How can we measure if an artificial limb gives an unfair advantage or merely creates a level playing field? And since all human beings are different in one way or another, how can we be sure that paralympic athletes are so different that they must have competitions of their own. Is sport reluctant to include people with disabilities? And to the disabled athletes prefer to compete on their own or join the majority sport? Play the Game 2009 will explore our concepts of normality, fair play and the human right to be treated as an equal in culture and sports. 8) Sport for the Good: What is it good for? Sport is surrounded by great expectations: It can promote health and well-being. It can enhance human rights and the environment. It can reduce smoking and crime. It can promote peace and reconciliation. It can lift marginalised groups. It can bring nations and the world as a whole together. But sport can also be a scene for aggression, violence, nationalism, racism, sexual abuse and stereotyping, child labour and cruelty to animals. Is sport in its essence an asset for common good? Or does it take a special attitude, strategy and working method to achieve some of these those noble goals? Sport is globally praised as important for all people at all stages of life – but why then do governments and the industry in most of the world invest heavily in elite sport, while the sporting masses must rely on their own resources? Join Play the Game 2009 for a closer look on the social and economic side of the daily sport life and help find creative ideas for a sport that serves to develop individuals and communities alike. Zugegeben, der Schwerpunkt ist eher akademisch, aber im letzten Jahr in Kyoto waren immerhin auch ein paar Journalisten vertreten. Und in Coventry sind ja ebenso auch einige renommierte Wissenschaftler (Maguire usw.) angekündigt. Hach, es juckt… mal sehen, ob das irgendwie machbar ist.